we've actually been busy enough that we've completely forgotten to mention a fantastic new book in which you can see Heather's work, in addition to many other great designers! 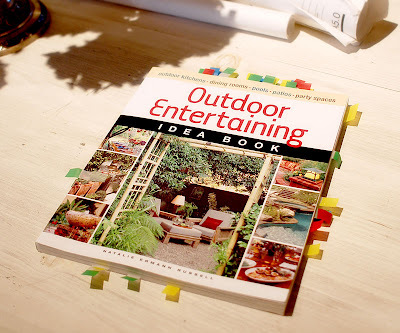 Taunton Press' Outdoor Entertaining Idea Book, by our friend Natalie Ermann Russell, is 200 pages of expert tips on everything from general themes in al fresco dining for two or for groups, to the specifics of choosing outdoor umbrellas or cooking appliances. And of course it's chock full gorgeous photography. Look for it at your local garden store, or at the Taunton online store. Also available at amazon.